M-Sport sent a Fiesta WRC to Ford’s specialist Windshear centre at Charlotte, North Carolina after Rally Argentina, so that they could input some ideas into the development of the Fiesta WRC. 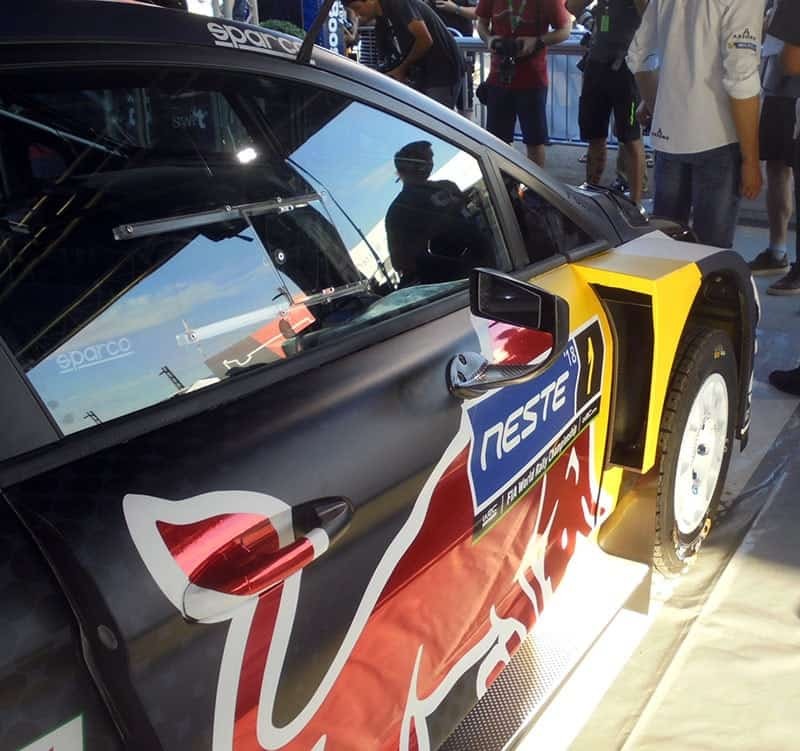 It produced visible changes in Sebastien Ogier’s rally car within weeks. 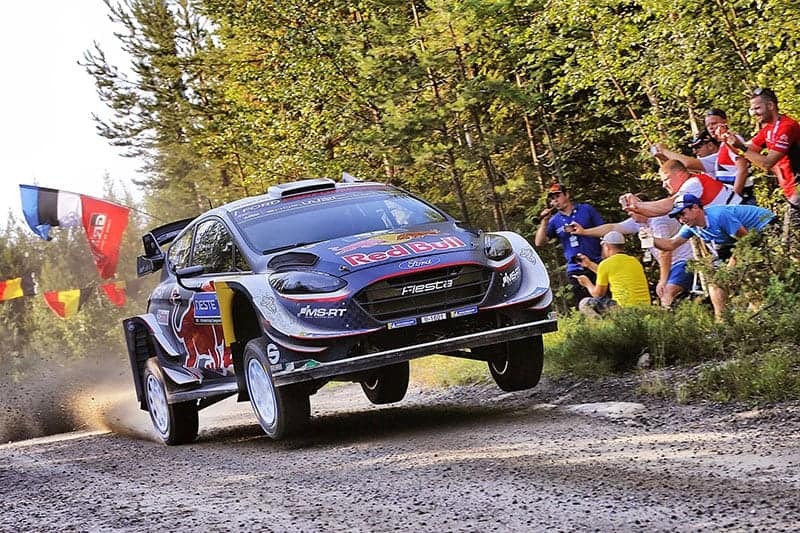 Neste Rally Finland was a good opportunity to find out from M-Sport technical consultant, Massimo Carriero, more about this new approach to ongoing development work. “As you can see, the changes in the aero work on Sebastien’s car shows the first outcome from our co-operation with Ford, but at this moment we are also working with them on other areas of the car,” he said. “More changes will come soon. We have a major car simulation project, the results of which won’t be visible from the outside, concerned with vehicle dynamics. We are working on the engines as well, and on other systems like steering. This work is happening at Ford’s centre, which has worldwide experience. “You can sense this in the way they show an open mind. They propose things that we are not used to, though some ideas just won’t work in rallies. “We did tests with several aerodynamic layout ideas coming from GT racing. They have a lot of background knowledge and we can get good results out of their analysis. “We knew what kind of work had been done on the aerodynamics when the car was first homologated, and we knew which were the areas where we thought could be improved, and we have a very good understanding of the regulations. “These things helped us guide the guys in Ford into the technical areas on the car where we think there was room for improvement, into areas where the regulation would allow us to develop the car. 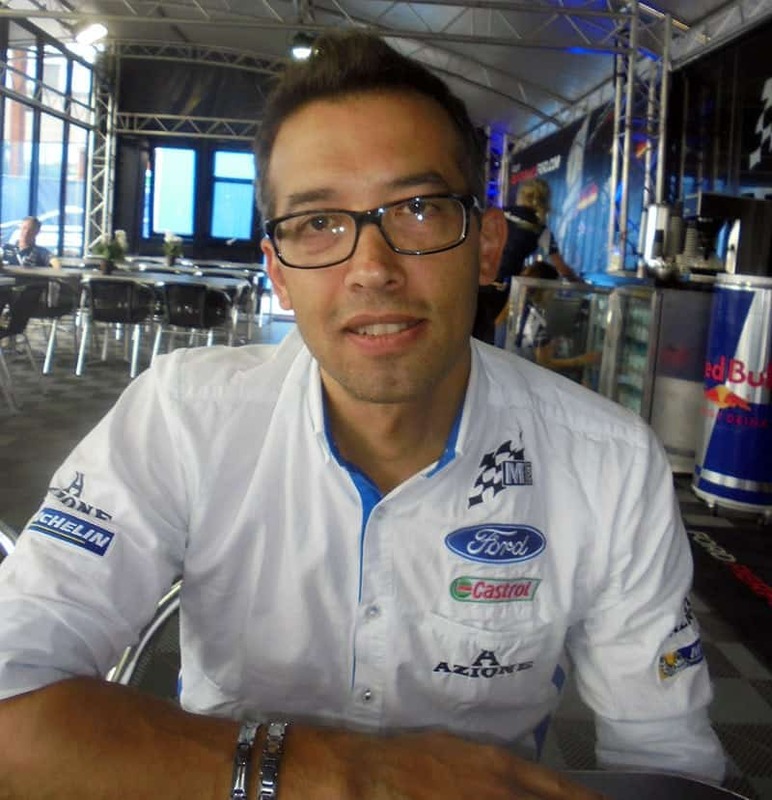 M-Sport technical consultant, Massimo Carriero. All the four WRC teams work completely independently, they all have their own ideas. Thinking about the aero at the rear of the M-Sport car, similar to the design used at Toyota, do you find that you haven’t just been following your ideas and not looking at the other teams? “It’s important to understand where you are and where the others are. Sometimes you can apply things from other teams, sometimes you can’t. Each car has been designed with a different basic concept. “And as regards our aero, I know that the rear louvres look similar to Toyota’s. Both are intended to extract the hot air from the rear wheel arches. Without these louvres, the air would have the effect of trying to pump the car up off the ground and reduce downforce. “If you remember the stillborn VW WRC car and the new Citroen, the back of them are very similar, suggesting those two cars have been designed on a very similar concept. “When we started the project the teams did not talk with each other, everybody went on with their own ideas. Actually those two cars independently ended up with very similar solutions. “Then you have Hyundai, Toyota and M-Sport that are all based on similar ideas. We decided to go even further, playing our available joker and developed the aero. One of the challenges in rallying must be the need for design compromises, so as to be suitable for every rally, even if every rally demands a different ideal approach? 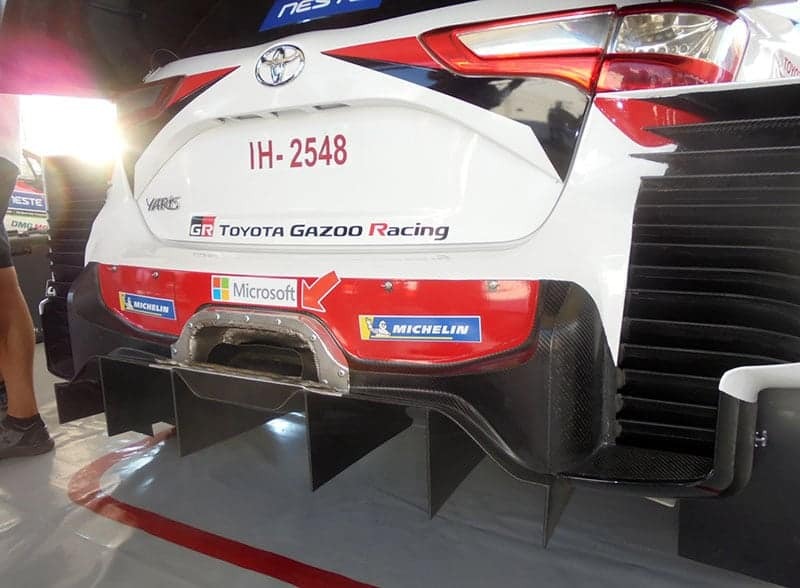 “There are some rallies like Finland where the aero can make more difference. It is a place where any advantage in aero can be noticed the most, unlike lower speed rallies. Is there any one area of aero work which is the most important area? “For sure, the most efficient area is the floor and the diffuser because this is a section where you can produce a lot of downforce, while paying a very small penalty in drag. 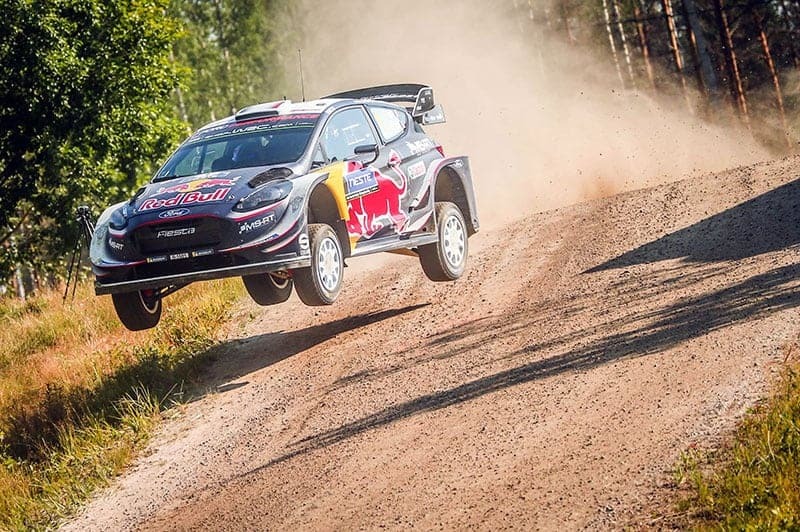 Assessment of the team’s performances in Finland were inconclusive, though pre-event testing of Ogier’s set-up, which featured the new aero work and also the Sachs dampers, was limited.